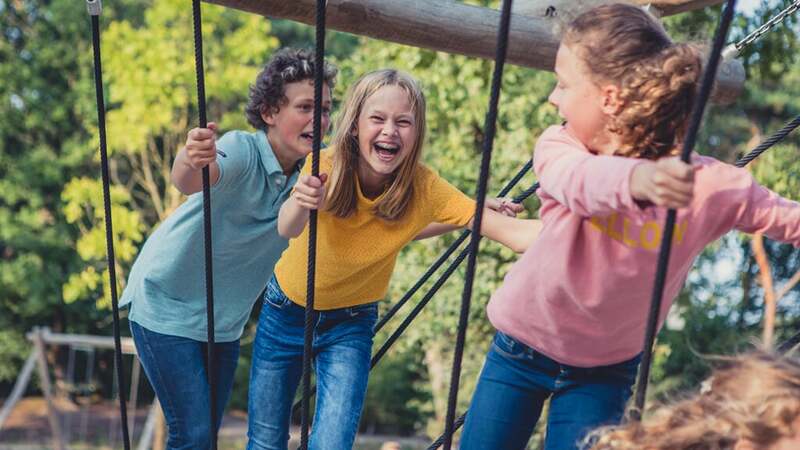 Small guests have lots of opportunities to enjoy themselves in Holiday Village Efteling Bosrijk. 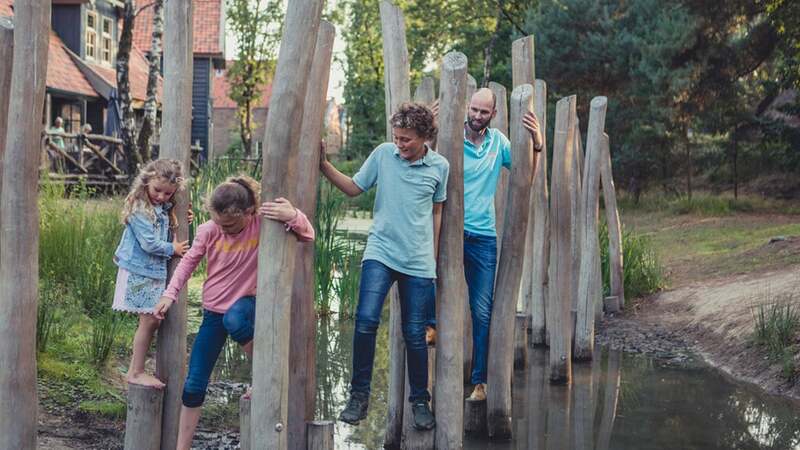 Apart from the daily entertainment, there are, among others, a swimming pool various playground equipment, and all holiday homes and apartments have Efteling-TV. Just in case they still have some energy left over after a day in the theme park. 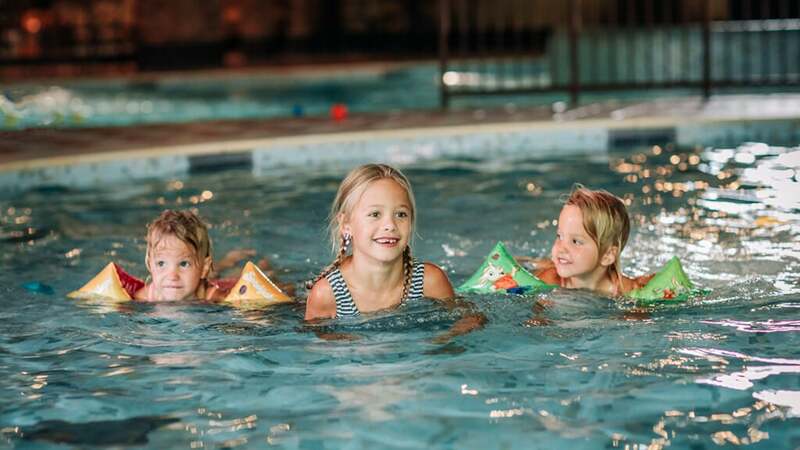 The Badhuys at the Holiday Village Efteling Bosrijk is an indoor water play area with a paddling pool, a pool for toddlers, a 130 cm deep pool and various play items. Come and have fun in the hot water, let yourself be carried away by the currents or relax in the bubble baths. 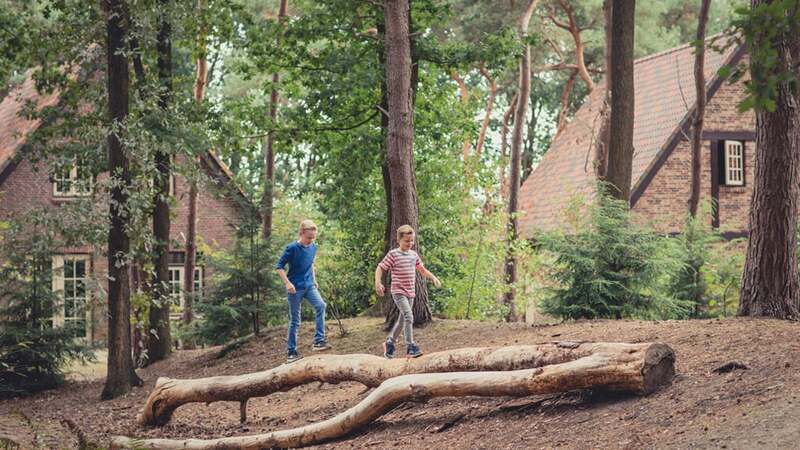 In the woods and fields of Efteling Bosrijk you find a variety of playground equipment and natural play elements such as fallen trees, woodland huts and stepping stones. In Bosrijk you sleep with Mr Sandman's nightcap. Each day he sprinkles his magic sand in it in to make sure you have lovely dreams after a day in the park. If the weather is not so nice, you can turn on the television in your accommodation. 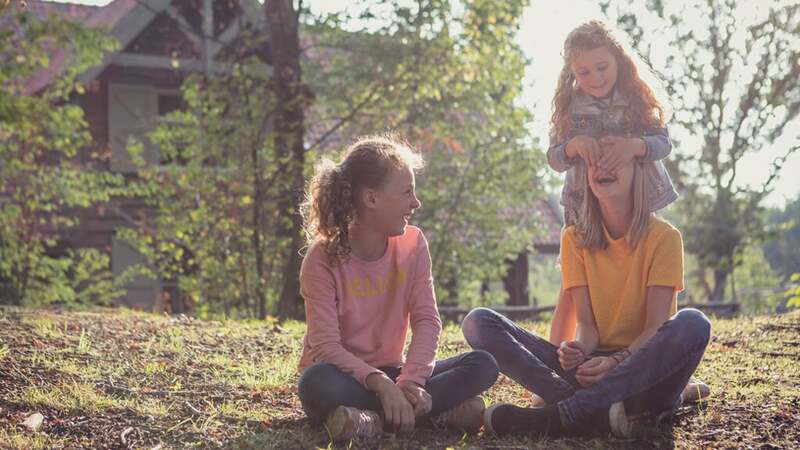 Enjoy watching one of the many channels, or switch to the special Efteling channel. It is crammed full of Efteling series! Mr Sandman lives in this holiday village. His sandcastle is located in the middle of the lake. Every evening Mr Sandman's little helpers come to fetch you so Mr Sandman can tell you a bedtime story. But sometimes inhabitants of the Fairytale Forest also visit to entertain the children. Before and after your visit to the park there is always something to do.